It’s been a record first year’s archery for Evie. 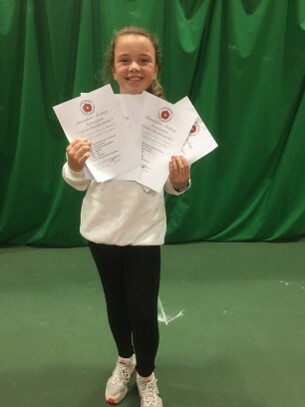 14 Lancashire Junior Record Certificates, 10 for Target Archery and 4 for Clout Archery. 6 NCAS Junior (U18) records – awaiting verification. Lancashire AA Junior U18 Barebow Champion. Archery GB National Clout Championships, Junior Barebow runner up. Winner of 5 open novice competitions, Junior Barebow. barebow record – awaiting verification. 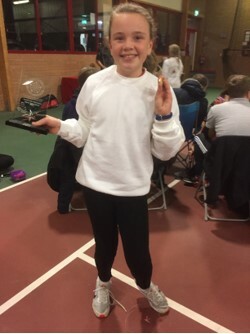 And of course, she got the Assheton Junior Section most improved girl archer 2018.